Duke of Uke is London’s premier ukulele emporium selling new and vintage ukuleles as well as a variety of other instruments. 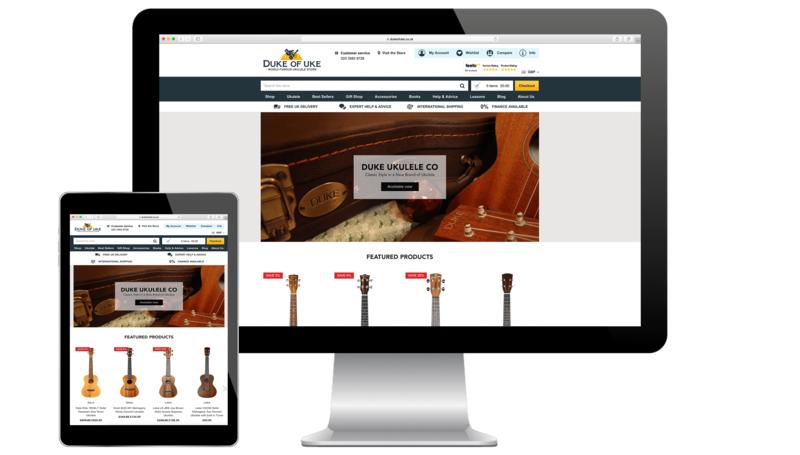 Duke of Uke were getting tired of their old WooCommerce site; forever getting hacked and with limiting functionality, they needed an upgrade to a platform that was more stable and easy to keep control of. 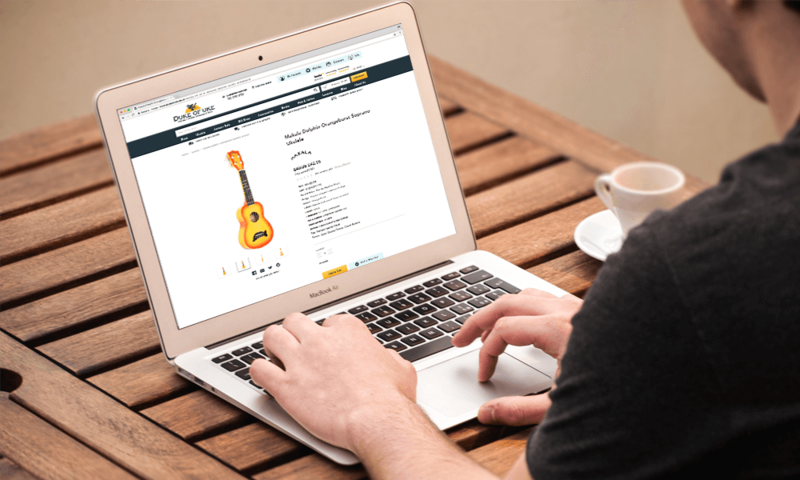 We moved Duke of Uke to the BigCommerce platform where we were able to create a high customised theme down to the platform’s flexible API and one click integrations. With a shared SSL certificate, the move to BigCommerce also meant that their site would be more secure, preventing any further issues with hackers. Understanding that online reviews are a big part of eCommerce businesses, we integrated the site with Feefo, ensuring their excellent reputation can be seen by all. Duke of Uke were very happy with our strategy led, design and development approach and continue to work with us on ongoing site updates.